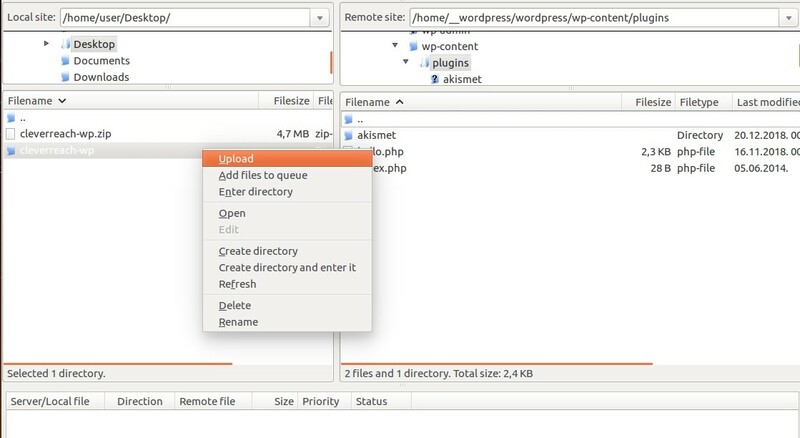 If you have enabled Multisite, navigate to "My Sites -> Network Admin -> Plugins". 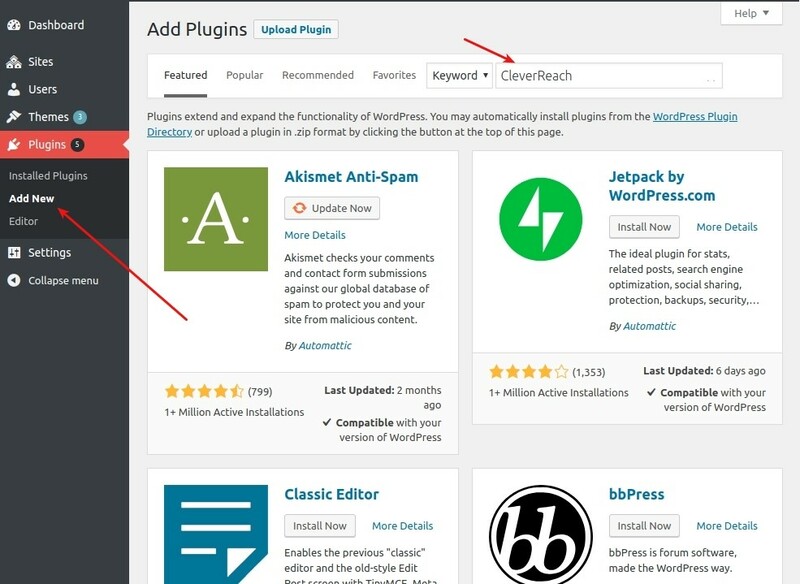 If you have a single-site environment, navigate to “Plugins” in the sidebar menu. 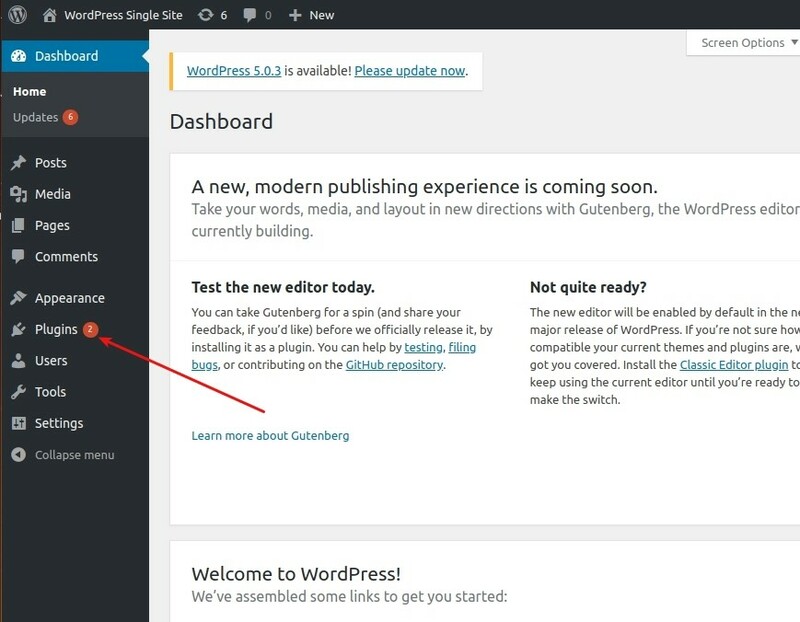 Go to the “Add New” submenu item, and if you have a zip archive, upload it to WordPress. 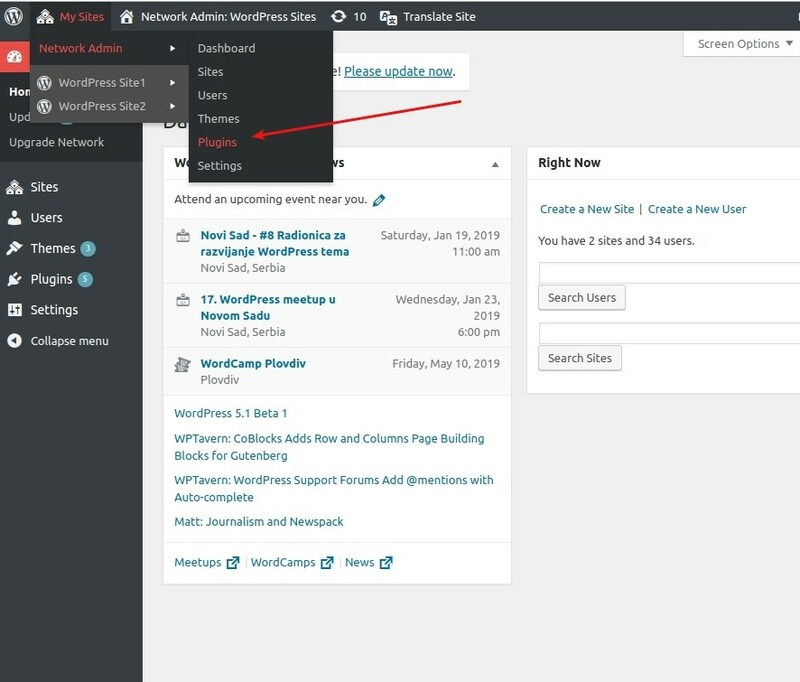 If you don't have a ZIP archive, you can get the extension directly from WordPress using the search bar. 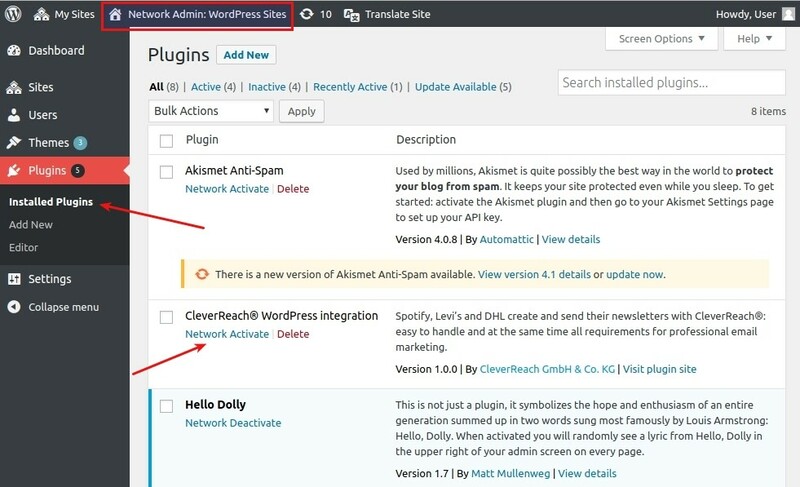 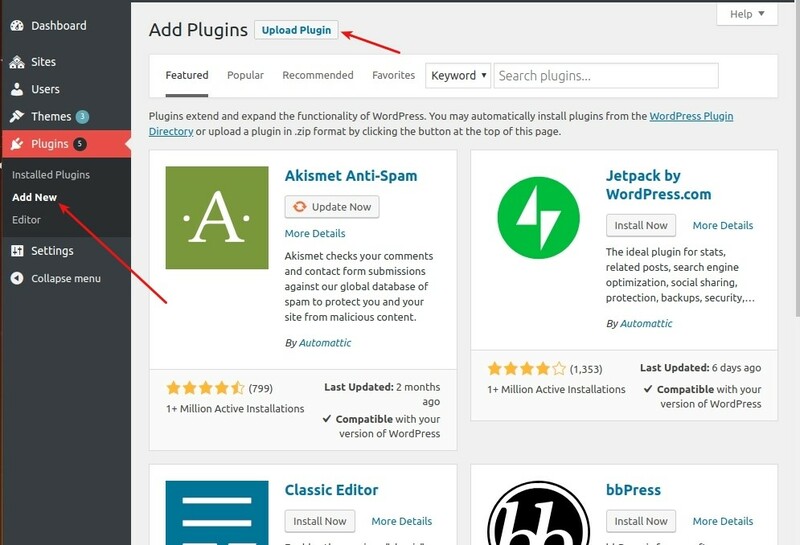 If you have a single site, then navigate to "Plugins -> Installed Plugins" and activate the plugin. 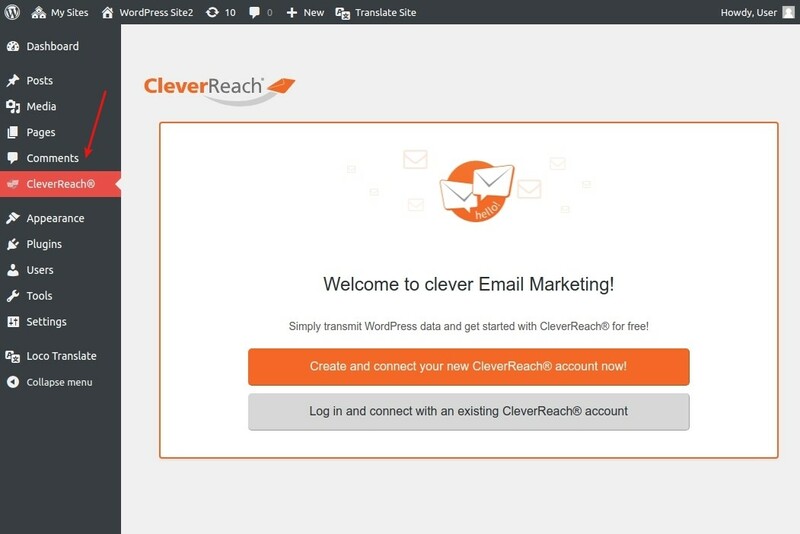 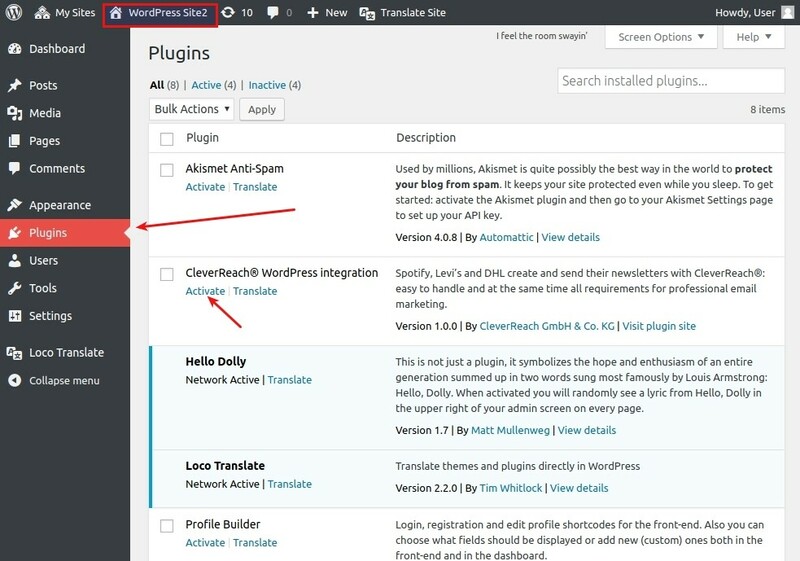 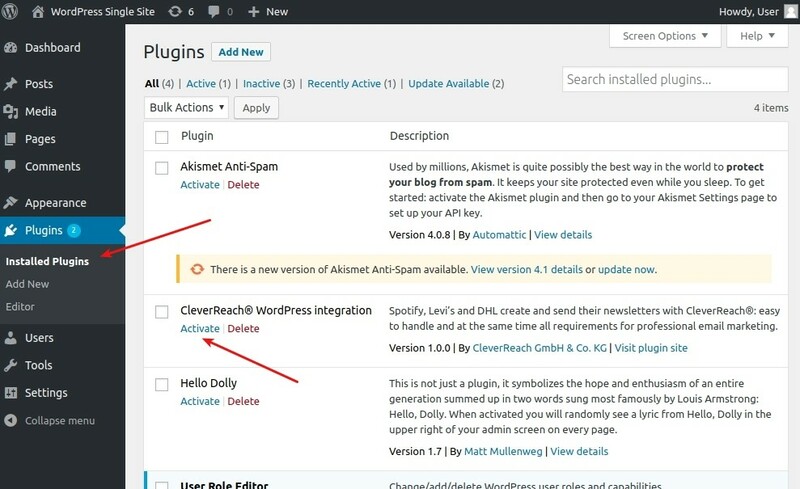 You can access your CleverReach® plugin by navigating to "WordPress > CleverReach®".